Paper and Ink Playground: Cutting Cafe - Another Giveaway!! Cutting Cafe - Another Giveaway!! This giveaway is closed. Thanks for playing!! Regina Easter is not only a talented creator and designer, (I'm beginning to think the woman never sleeps! ), she's also one of the most generous people I am honored to know. 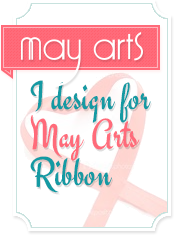 She allows her team to give away a copy of the new designs she creates if we choose to use them. How awesome is that? ...look at what else you can use it for!! Depending on the occasion, it will hold several chocolate bars, stacks of Hershey nuggets, several small bags of M & M's, or small travel sizes of cosmetics. I bet you can think of other great uses for this box too!! Oh and I've signed up to be a follower...yay!!! My first thought is chocolate, but I think if I was sending it to a crafty friend I would make an insert and wrap with various ribbons. I love the stuff you create! I love the pencil box. My kids are now in college and high school, but these would be cute to make for the secretaries in the office. Thank you for the opportunity to receive the template. How about putting markers in it when traveling. Of course chocolate is my first choice. This is cute. You have to make two. One for pencils and one for chocolate and rubber stamps might fit in there too. I have a friend who loves fire balls, just think how you can decorate that box. One year already. Where does the time go? I love the pencil box - especially filled with chocolates! I'm a huge fan of gift boxes -- this one HAS to be filled with brand new pencils in coordinating colors. I'd adhere some fun DPs for a perfect back to school set! Although I have to say I love your idea of chocolate, too!! What a darling box for pencils or mmmmmm good candy . Leave my name out of the draw since I am a DT member too. i think id use it to hold my odd wee clear stamps that you receive when you buy a sheet of clear stamps ,these boxes could be useful for many crafty things i e,hold buttons,brads the worlds your oyster . This cute little box would be fun to fill with chopsticks and decorate for an Asian dinner party! What a great box and lovely decorated by YOU!! I will make one for school's opening, but I think it would be great for upcoming Halloween and Christmas treats! So these would be the next projects. Wow a year has passed, along with your almost 200 posts!! Wishing you the best next year and everyday!! Yesterday I didn't mention what I would put in my box. Chocolate, of course! Since mine would be going to the secretaries at school, I think they have days they definitely need the chocolate! Thanks again for the chance to win. I would fill the box with licorice sticks for a suprise prezzie for a licorice lover I know. Wouldn't everyone love a box of pencils decorated like this!? I sure would! Great job, so many ideas! I signed up for your blog. hmmmm, what would I put in the pencil holder? CHOCOLATE!!!! what a nice surprise it would be! LOL! thanks for sharin. great job on the box. My granddaughter would love it!!! I think the pencil box is adorable. I would decorate it in Baseball theme and fill it with cracker jacks for a contest we are having at work. I love your blog...it is new to me. The pencil box is adorable. I would decorate in a Baseball theme and fill it with cracker jacks for a baseball contest at work. I love your blog! I just signed up to be a follower. Thanks for sharing! This box is too cute! I'd put chocolates in the box for my hubby... a sweet treat in a sweet box. Thanks for sharing! I love the apples you attached. What is great about this box is that it can be used for ANY holiday or occassion. Love the box.....of course it is screaming for chocolate! I cannot find your review of CHA.....have you removed it from your blog? I am trying to find the pattern for the cute little paper tote bag that you made. I like the school theme, and think it would be great for a teacher gift with pencils, pens or markers in it.